Blore’s is named after Headmaster George Blore (HM 1873-86). 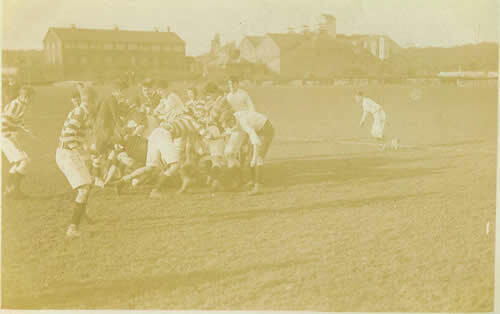 Rugby was played here, with the 1st XV using the field until after the Second World War. In the summer it was a cricket ground with the 1st XI playing here until 1935. There were also squash courts, a rifle range and an outdoor swimming pool. An artificial hockey pitch, used as tennis courts in the summer, was available from 1983. The Recreation Centre was opened in 1990.